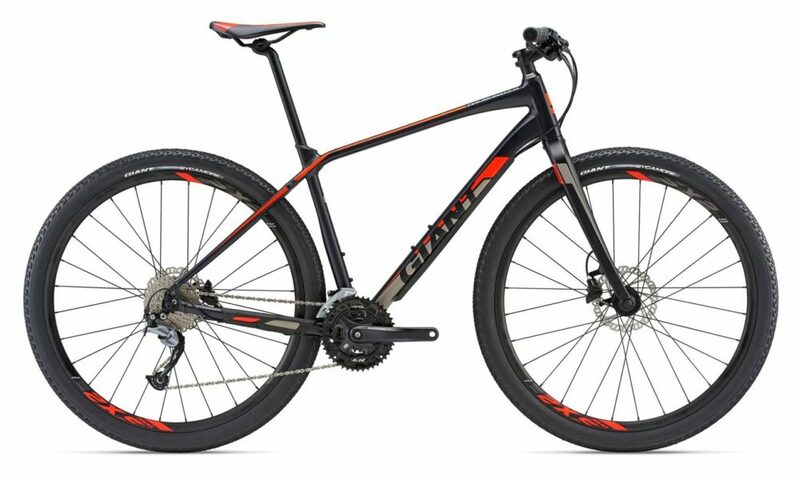 Here’s some rather exciting news for the 2018 Giant Toughroad range – it’s expanded and there’s now a drop bar version called the GX! 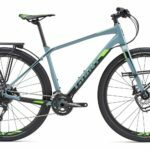 Giant is the biggest bike brand in the world and quite frankly, it’s great to see their expansion into the touring bike market. 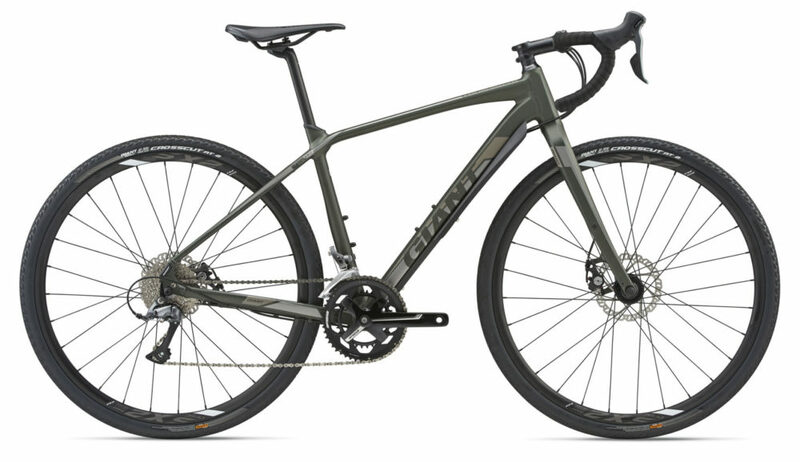 When big brands like Giant and Specialized bring their bikes to regular shops, it normalises the touring category and gets more people exploring the world from their bike seats. 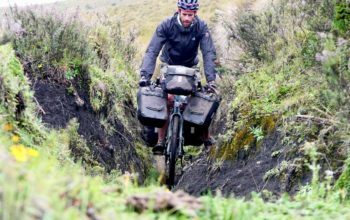 The ToughRoad SLR is essentially a mountain bike with a carbon fork and provision for racks and fenders. This makes the range excellent for off-road use, but with a set of slick tyres, they’re also great for the on-road stuff too. They come with a well-designed carbon seatpost proprietary to the bike which flexes vertically to keep you comfortable. Having used them before they’re very effective! My only gripe with the ToughRoad SLR is the sizing: the bikes get taller but not longer through the size range. Basically, this is fine if you’re tall and want a short bike, but the frame is up to 50mm shorter in size XL when compared to other bikes. 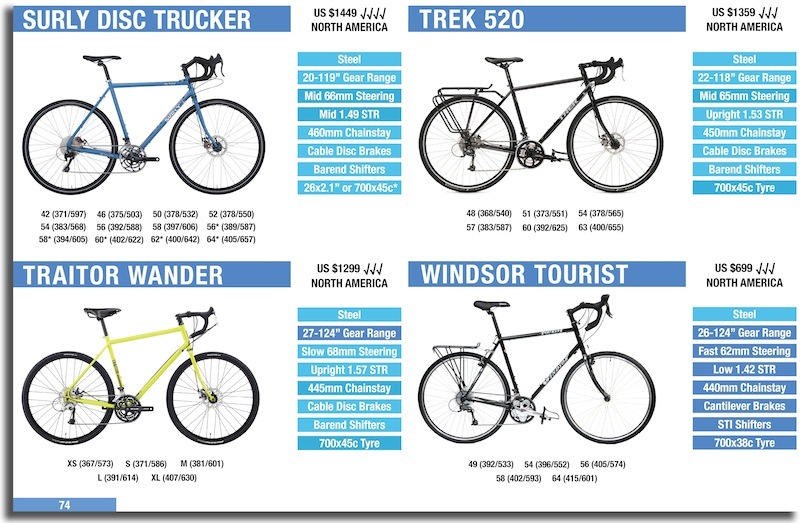 I’ve discussed the frame geometry of the ToughRoad SLR bikes before, so I won’t go into detail, but you can click HERE for more. Let’s take a closer look at each of the models. The SLR0 is the flagship model which uses a SRAM 1×11 drivetrain. With the 34t front chainring, the smallest gear ratio works out to be 23 gear inches. SRAM make 1x chainrings down to 30t, so 21 gear inches is feasible without too much hassle or cost. TRP Slate four-piston hydraulic brakes are featured on this bike (normally reserved for enduro or downhill mountain bike use) which are a welcome addition given the bike can be heavily-laiden with gear in remote areas. In Australia, you can pick up the SLR0 for AU $1999. 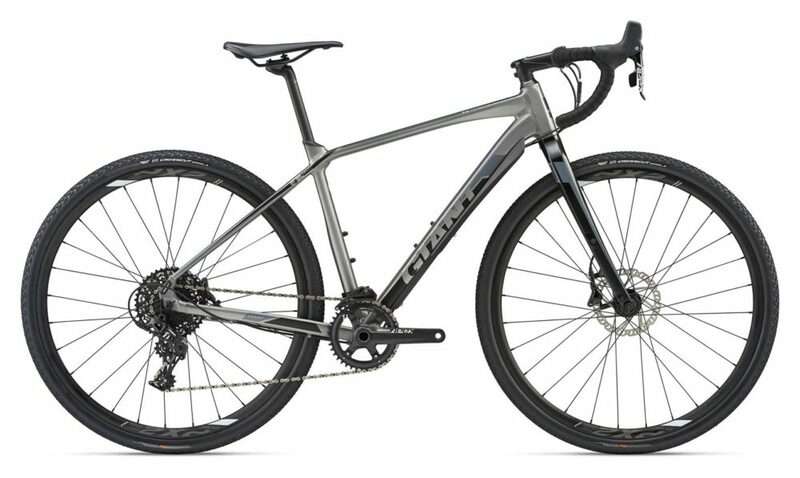 The 2018 Giant ToughRoad SLR1 is the only model that comes ready with front and rear racks. It’s using SRAM GX 10-speed gearing with a double front crankset. 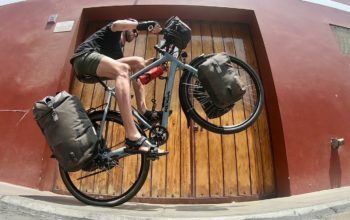 The smallest gear yields a 22.5″ climbing gear which puts it slightly higher than other dedicated touring bikes. 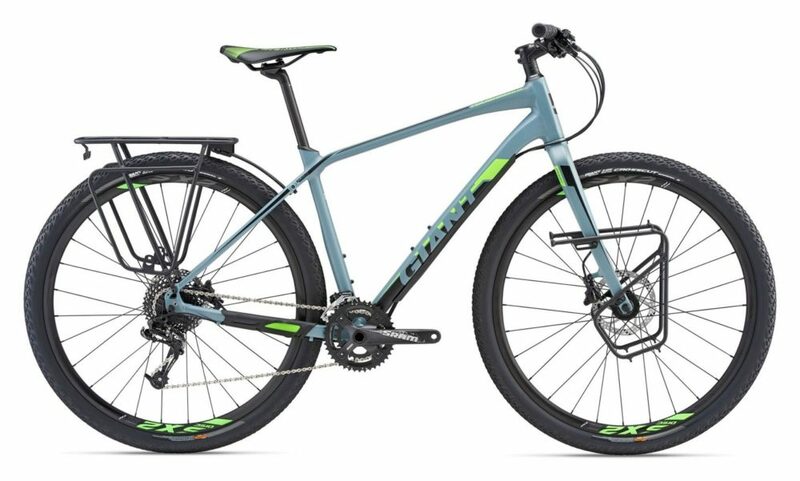 As the bike employs a MTB crankset, you’ll be able to fit a 22t front chainring on it for an 18 gear inch climbing gear – much better for those dirt road climbs. The SLR is rolling on SX-2 wheels and is stopping using TRP Slate T2 disc brakes. The SLR1 is marginally more expensive than 2017, at US $1250. The SLR2 has the lowest gears (19 gear inches) for off-road riding out of the whole ToughRoad range. 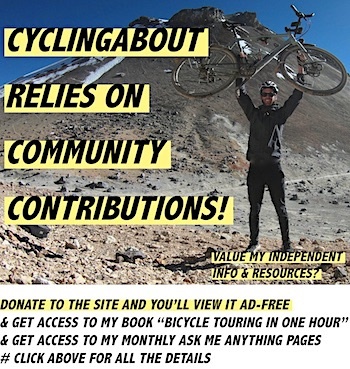 This has been made possible via a Shimano Acera 9-speed triple crankset with a tiny 22t ‘granny ring’. The bike has the same SX-2 wheels as the SLR1, and uses Shimano hydraulic brakes to come to a stop. It’s an off-road weapon for the price! You can get your hands on the ToughRoad SLR2 for US $890. The ToughRoad GX range is an entirely new frame design and geometry, based around the road handlebars. The frame is, therefore, a little shorter and lower than the flat bar series. But unlike the ToughRoad SLR, the sizing is right – getting proportionately longer and taller throughout the range. 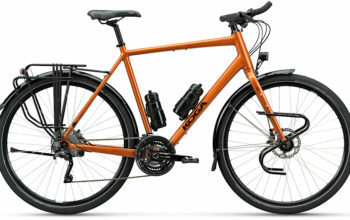 All models from budget to top-end use the same aluminium frame and carbon fork which is both rack and fender compatible. The seatpost is the same proprietary Giant D-Fuse which flexes vertically to take the edge off bumps and vibrations. 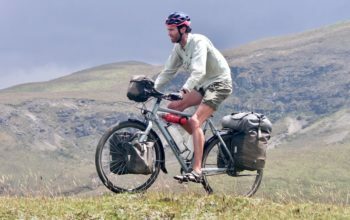 Although these bikes come with 700x40c tyres as standard, the frame accepts 29×2.2″ tyres given its mountain bike heritage. 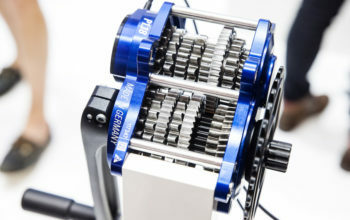 The top model, the GX0, is equipped with SRAM Apex 1×11 gearing. The front chainring is 38t (25 gear inches), so to get low climbing gears for off-road use, you will actually have to switch out the crankset to a SRAM mountain bike setup (down to 30t). 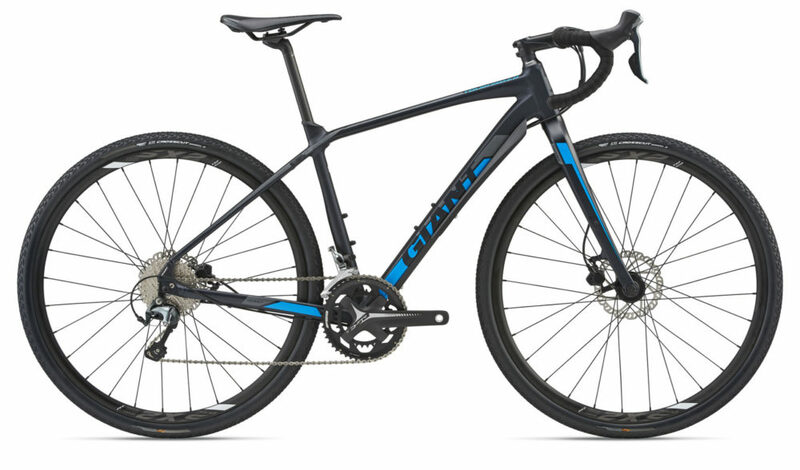 The bike pulls up with the SRAM Apex hydraulic brakes and is rolling on the same PX-2 wheels as the SLR0 flatbar. It’s available for US $1700. The GX1 is equipped with Shimano Tiagra 10-speed gearing paired with an FSA Omega 48/32 crankset to give a 26 gear inch climbing gear. It’s stopping with Giant hydraulic brakes (made by TRP) which use a cable-to-hydraulic converter at the stem (I’ve used these brakes before and they’re great). The wheelset is the same SX-2 model featured in the flatbar range. You can get the ToughRoad GX1 for US $1350. The GX2 employs Sora 9-speed gearing paired with an FSA crankset to achieve a 26″ climbing gear. It’s also using the Giant cable/hydraulic braking system and the SX-2 wheelset found on other models. You can get the ToughRoad GX2 for AU $1599. The GX3 is the Shimano Claris 8-speed version. Using the same frame, fork and wheels as the GX1/2, the difference is in the shifting and braking. 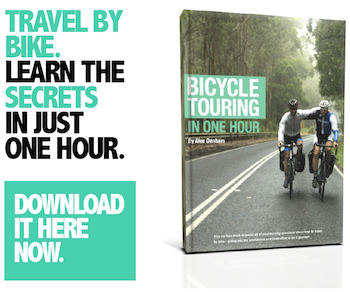 The smallest gear is 26 gear inches with the FSA adventure crankset. The budget ToughRoad GX3 is just US $900.